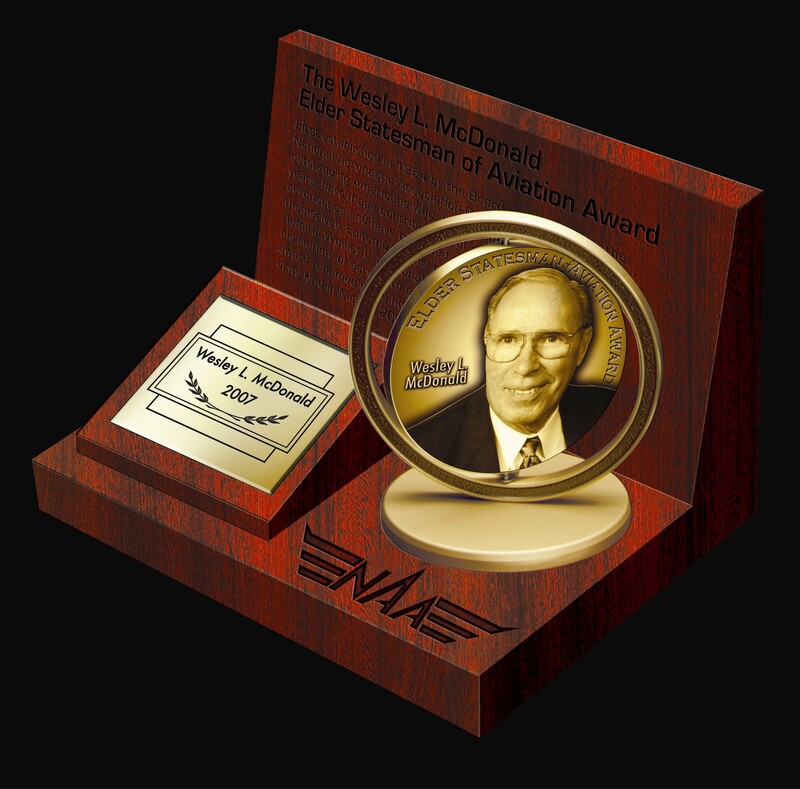 The Wesley L. McDonald Distinguished Statesman of Aviation Award was established on October 16, 1954, by the Board of Directors of the National Aeronautic Association. The purpose of the award is to honor outstanding living Americans who, by their efforts over an extended period of years, have made contributions of significant value to aeronautics, and have reflected credit upon America and themselves.The Wesley L. McDonald Distinguished Statesman of Aviation Award was established on October 16, 1954, by the Board of Directors of the National Aeronautic Association. The purpose of the award is to honor outstanding living Americans who, by their efforts over an extended period of years, have made contributions of significant value to aeronautics, and have reflected credit upon America and themselves.